Criminal defense attorney, Adam Woody, is a seasoned lawyer who practices exclusively in criminal defense law. He has a successful track record of protecting the rights of his clients. Because he is armed with knowledge and skill, he becomes your “bodyguard” in the courtroom. Adam will go to bat for you during this stressful time of your life. As a criminal defense attorney in Springfield Mo, he specializes in legal defense of DWI, DUI, drug, felony, and federal charges. His courtroom success in defending his clients against the government has gained state and national attention. 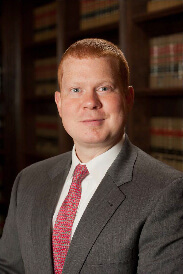 He was named a Top 100 Trial Lawyer by the National Trial Lawyers Organization, a Missouri and Kansas Super Lawyers Rising Star, and a Top 10 Criminal Defense Attorney Under 40 in the state of Missouri by the National Academy of Criminal Defense Attorneys, among other various awards and accommodations. When you face criminal charges, it can be scary. That’s why you need a trusted defense attorney in Springfield MO who will fight for your rights. Contact the Law Office of Adam Woody today to set up a free consultation, and rest assured that a seasoned criminal defense attorney is ready to go to bat for you. No matter the criminal charges you might be facing, your future could be on the line. This makes it critically important to have an experienced defense attorney in Springfield MO by your side. You need a defense attorney who knows the inner working of the court system in Greene County and neighboring counties to help protect your rights. Adam Woody has the expert guidance you need.